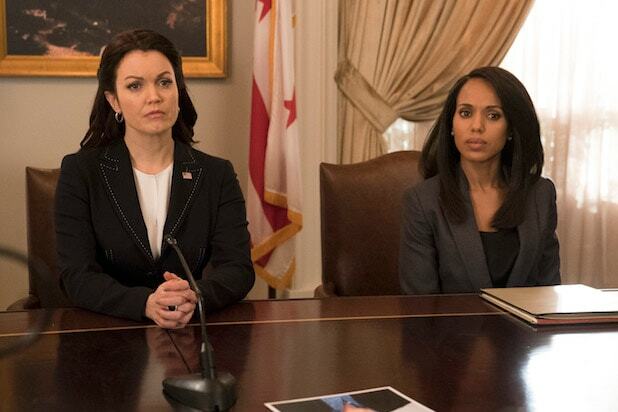 “Scandal” fans gather around, because we have the spoiler alert to end all spoiler alerts. Star Bellamy Young told TheWrap Wednesday she received an email telling her “EVERYTHING IS CHANGED'” in a new cut of the series finale that she has yet to see. For those non-die hard TGIT fans who haven’t been following along, that last episode, titled “Over a Cliff,” is set to air tomorrow. When we asked Young, who plays President (and former first lady) Mellie Grant in the Shonda Rhimes series, if she knew what co-star Scott Foley (Jake) was referencing when he told us about an “ambiguous” moment in the finale last week, Young couldn’t place what he was talking about. However, it didn’t ultimately matter, as she then revealed it may not even been included in the final cut now. Wait a second there, Mel. The entire finale might be altered now? So, obviously, it was going to be a little difficult for Young to speak to anything that happens in the finale — since she has no idea what it is now. 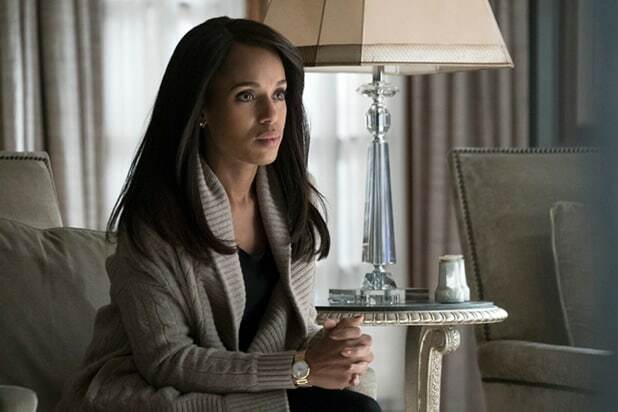 If everything changed in the Scandal finale, no one told me. Well, hold on, Young and the rest of the “Scandal” cast has a live table read planned for tomorrow in Los Angeles ahead of the airing of the last episode. So we assume they’ll be getting new pages for that then, yes? Wait, wait, wait, the live table read of the finale isn’t the finale now? The series finale of “Scandal” airs Thursday at 10/9 c on ABC.